GLENDALE, Calif. (CN) – Evolutionary biologist and best-selling author Richard Dawkins claims an employee of his Foundation for Reason and Science embezzled $375,000 from the online store he ran for Dawkins’ charity, by claiming it made only $30,000 in 3 years. Dawkins hired Josh Timonen in 2006 to run his website and produce videos for him, according to the Superior Court complaint. Timonen began working for the Foundation in 2007. In 2007, Dawkins says, he and the Foundation asked Timonen to create an online store to market a series of educational DVDs Dawkins made from a lecture series he had given in 1991, and to sell T-shirts, hats, mugs and other merchandise. All proceeds from the store were to benefit the foundation. Because legal requirements imposed by the British Charities Commission prohibited the British wing of the foundation from running its own store, Dawkins says he asked Timonen to run the store through his company, Upper Branch Productions. But the scientist says Timonen actually pocketed $375,000. Dawkins claims Timonen made off with 92 percent of the money generated at the store in 3 years. Dawkins demands $950,000 plus punitive damages from Timonen, Norton and Upper Branch Productions. He and the Foundation are represented by Blaine Greenberg of Encino. If Timonen did commit the offense claimed here, he should not only have been sued, but he should be arrested and jailed too! And if it can be proven that his girlfriend instigated or benefited directly from the embezzlement, she should also be locked up. WTF?! If I had been Dawkins, I would have fired Timonen just for that! 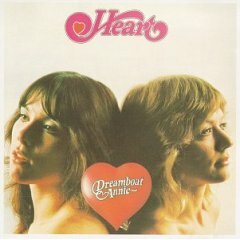 And the sisters Ann and Nancy Wilson that run the Heart band could have sued for copyright infringment. I hope they do! This entry was posted in dishonesty, ethics, sexism. Bookmark the permalink.